Land in Hickory NC – Manufactured homes are affordable, come in a variety of different models, and are the perfect living space for anyone, regardless of whether you have a large family or are looking to settle down and live out your retirement years. One of the main benefits of manufactured homes is that you can select where you want the home to be located. If you want to live in the countryside or right in the heart of Hickory, North Carolina, you don’t have to limit your home choices based on the location. 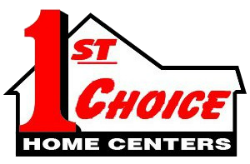 At 1st Choice Home Centers, not only can we provide you with a wide selection of different home models, but we also have land available in several different counties in both North and South Carolina.